Arnie has created a masterpiece! Located minutes west of the bridge to Hilton Head, Crescent Pointe Golf Club is a world-class Arnold Palmer Signature Course. 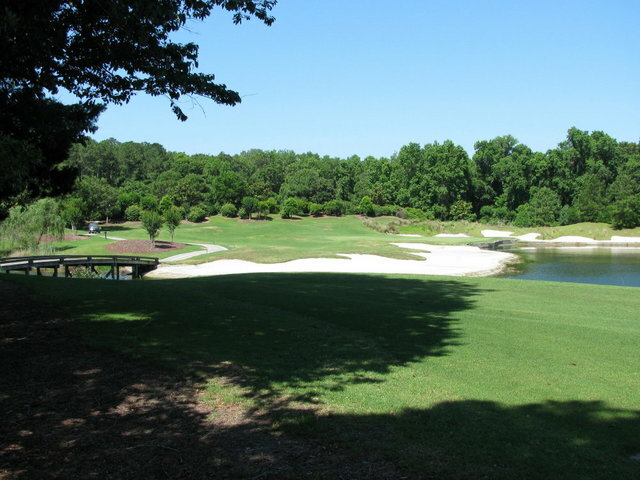 The golf course is situated on a spectacular piece of property that highlights the beauty of the Lowcountry. It’s Arnie’s only public-access course in the Hilton Head area, and it’s pure Palmer, with generous fairways, but challenging approaches to its many elevated, undulating greens. The course also features beach bunkers on several of the magnificient holes lending to a true island experience. Five unique par 3s await and the three par 5s are all birdie holes, but all require you to carry the ball over the water to score a birdie. Magnificent, century-old oaks, manicured conditioning and dramatic shotmaking opportunities make this course a “must play.” Palmer Design took full advantage of the sensational property, adding graceful elevations and rolling terrain not usually found in the area. Add the grand oaks, pines and magnolias, and you have a setting that can’t help but inspire! A spectacular day of golf awaits you!